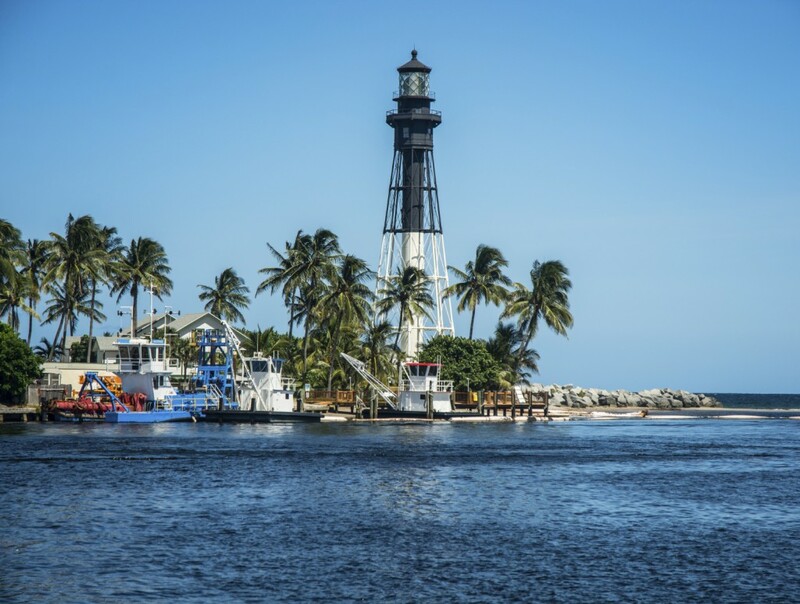 Named after the Hillsboro Inlet Lighthouse located in nearby Hillsboro Beach, Lighthouse Point is a small affluent community located along the intracoastal waterfront in Broward County. It is here that residents of the 2.49 square mile community enjoy a relaxed and enjoyable lifestyle. With few remaining lots as more than 95 per cent of the town is developed, Lighthouse Point is made up primarily of single family homes situated on quaint streets full of character. Located in the heart of this small seaside community of 12,000 is the Lighthouse Point Marina, a full-service marina that is minutes from the Hillsboro Inlet and that has been family owned and operated for the past 40 years. The Lighthouse Point Yacht & Racquet Club is also a highly regarded among yachtsman and boating enthusiasts alike. Renowned and esteemed for its boating, tennis and outdoor recreation, the Lighthouse Point Yacht & Racquet Club offers extensive sporting amenities and opportunities to share among friends and family. Ideally located from the Intracoastal Waterway, the Hillsboro Inlet and the Atlantic Ocean, the club is a mecca for all. With 18 miles of waterways, 13 miles of paths and 20 acres of parks, Lighthouse Point maintains its small, home-town atmosphere that is home to a plethora of beautiful properties. It is very scenic in nature, a true gem that is tucked away. Within Lighthouse Pointe you will find real estate in neighborhood communities such as Tillotson Square and in the waterfront communities of Lake Placid and Coral Key that offer its residents a superb way of life.